More Cozy Coupe DIY - Minnie Mouse style! 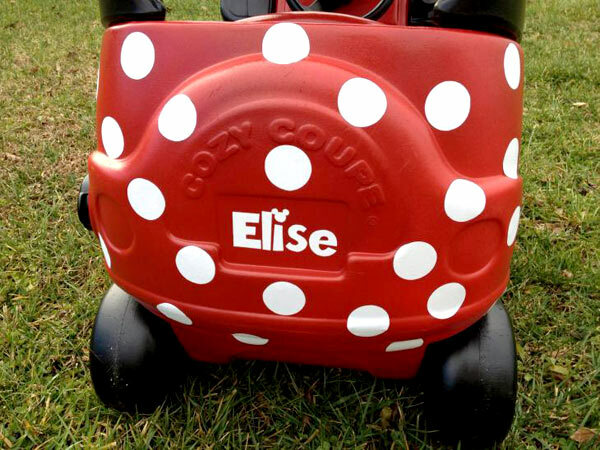 More Cozy Coupe DIY – Minnie Mouse style! Hot on the wheels of our last Cozy Coupe DIY conversion, we have this rather cute and rather dotty Minnie mobile. Just when we thought the Cozy Coupe couldn’t possibly get much more fun than this adult sized motorised hack , we discover some very clever people who are transforming their Cozy Coupes into Minnie Mouse-inspired rides – and even better, they show you how you can do just the same with this handy tutorial. 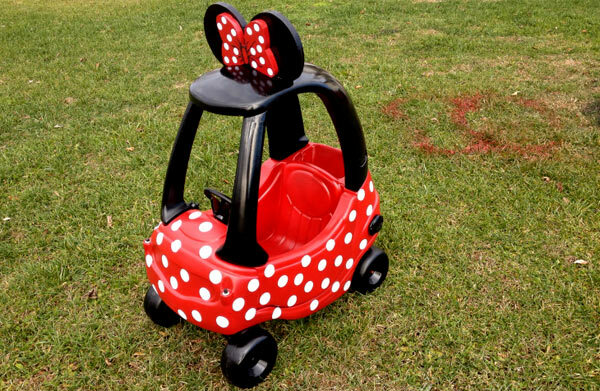 A discarded toy was soon to be an absolute treasure for one little girl when her parents gave the pre-loved Cozy Coupe a rejuvenating spray paint, Disney-style, switched out the old hardware for new, added a whole whack of perfect polka vinyl dots, a beautiful red bow and of course – the finishing touch, Minnie Mouse’s trademark ears. The results are clearly magnificent, an amazing transformation and what fun for a Minnie and Mickey Mouse loving child – all for minimal cost outlay and a bit of DIY know-how. I’m curious to know if anyone will be willing to give it a go on their tired Cozy Coupes. Let us know below with a comment if you do!